Made from select hardwoods and oak veneers in a rich dark brown finish, this coffee table is a beauty as well as functional. 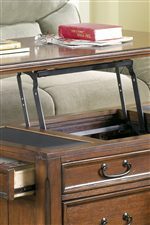 It has drawers on all sides, casters below and a lift top function. 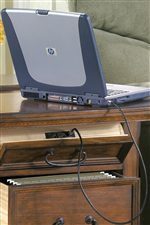 It consists of two end drawers, two front drawers, a top center storage opening, and top side storage openings. 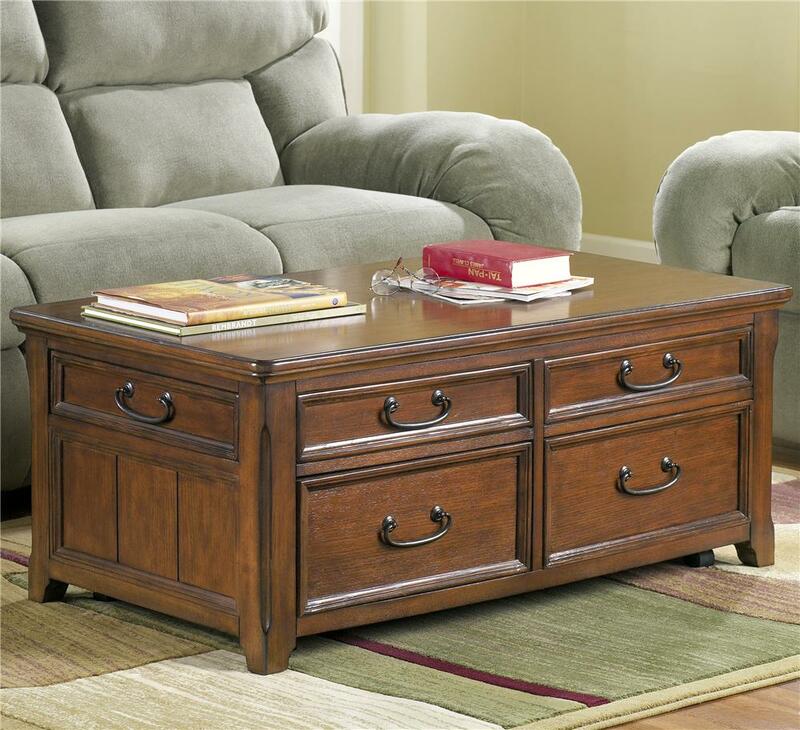 Ample storage to keep board games, books, and other miscellaneous items. Perfect to enhance a living room with this cocktail table. The Woodboro Rectangular Lift-Top Cocktail Table by Signature Design by Ashley at Corner Furniture in the Bronx, Yonkers, Mount Vernon, White Plains, Manhattan, NYC, New York area. Product availability may vary. Contact us for the most current availability on this product. The Woodboro collection is a great option if you are looking for Traditional furniture in the Bronx, Yonkers, Mount Vernon, White Plains, Manhattan, NYC, New York area. Browse other items in the Woodboro collection from Corner Furniture in the Bronx, Yonkers, Mount Vernon, White Plains, Manhattan, NYC, New York area.